"Today, South Asian American comedians continue to be seen in some of the biggest shows on both cable and network television." In the 2010-2011 season on NBC, every sitcom on the big Thursday night line-up had a South Asian actor in a major role: there was Danny Pudi’s slightly autistic Abed on Community, Maulik Pancholy’s sycophantic assistant Jonathan to Alec Baldwin on 30 Rock, Mindy Kaling’s brilliantly off-hand Kelly Kapoor on The Office—a show which she also produced, Aziz Ansari’s narcissistic Tom Haverford on Parks and Recreation, and finally, the short-lived Outsourced, set in a call center in Mumbai, with over 10 South Asian actors in recurring roles. 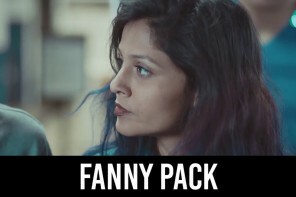 In 2012, Kaling followed up her success on The Office, by launching The Mindy Project on Fox—the first show featuring an Indian American woman as star and producer. 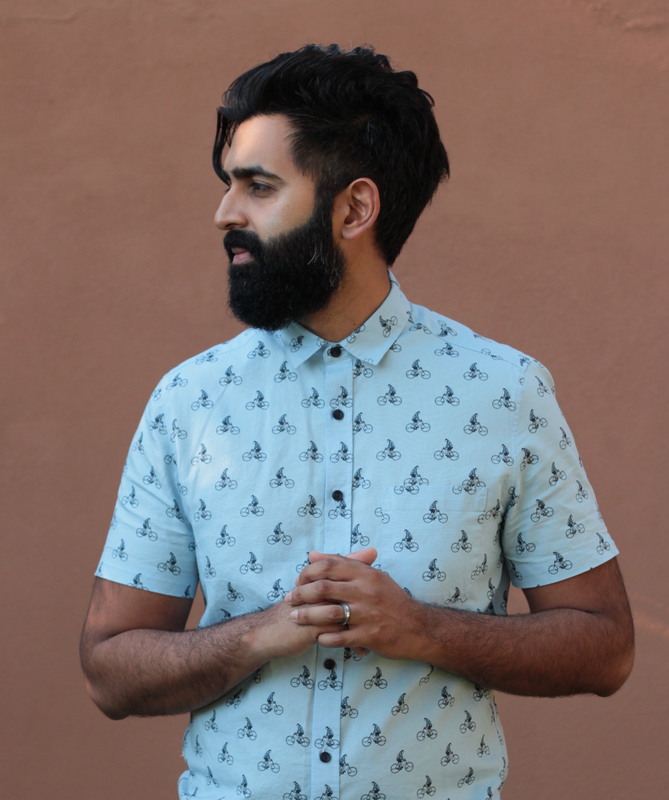 Today, South Asian American comedians continue to be seen in some of the biggest shows on both cable and network television. Pakistani American comedian Kumail Nanjiani pulls from his actual experience growing up in Karachi for the role of programmer Dinesh on HBO comedy Silicon Valley. After years and years of bit parts in everything from Spiderman to Sandra Bullock rom-com The Proposal, Aasif Mandvi has become—if not a household name—definitely recognizable as a Daily Show correspondent and with a major role on HBO political comedy The Brink, with Jack Black. Considering South Asian American (Indians, Pakistanis, Bangladeshis, Sri Lankans, and Nepalis) make up less than two percent of the US population—that is a lot of visibility. Does this success for an ethnic minority mean that network executives have come around to understanding the importance of diversity and difference? 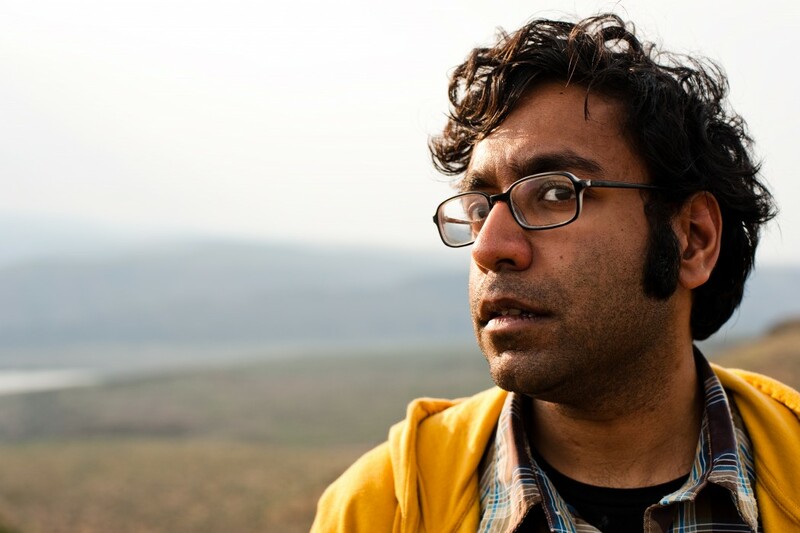 Indian American comedian Hari Kondabolu, a former immigrant organizer, has shaped his career on political comedy, focusing on issues of race and racism. But his successes—appearances on all the Late Night shows, a 30-minute special on The Comedy Channel—prove that he isn’t seen as fringe. “Would this have been possible twenty years ago? I don’t know,” Kondabolu admits. He believes it’s less a sign of TV executives’ embracing diversity, but rather that audiences are responding to diverse voices. He says the internet has allowed him to reach people who are interested in what he is talking about. Along with his own stand-up reaching virtual audiences, Kondabolu recently learned first hand about how social media can drive a news cycle. After Louisiana Governor Bobby Jindal announced his bid for president, Kondabolu created a hashtag (#bobbyjindalsowhite) that sparked hundreds of jokes here and in India—earning him major publicity. As a writer and special correspondent on the Chris Rock produced Totally Biased with W. Kamau Bell on FX, Kondabolu had a platform for talking about such current news events. Sameer Gardezi, a Pakistani American television writer with credits on shows like Modern Family and Mr. Sunshine, agrees. “I don’t think the entertainment industry is getting more progressive by any means,” he said. “It just that they realize they can monetize diversity. They’re like: ‘Okay, people are watching this. People are getting sick of only white people on TV.’ So then every person of color becomes a commodity, because they can tell stories that haven’t been told before.” Gardezi thinks that this goes for both on-screen actors and those working behind the scenes. He doesn’t see shows like The Mindy Project, or even Fresh Off the Boat—the first network television show to feature an Asian American family in twenty years—as a sign of progress. “You had real pioneering shows in the 1970s with All in the Family and The Jeffersons, which talked about class and race. Then again in the 1990s with The Fresh Prince of Bel Air, and to some extent, Family Matters,” Gardezi argued. Jaleel White’s star turn uber-nerd Steve Urkel was a new way to portray young black men in the media. “Today, you’re seeing more color on TV, but I do feel like it is coming in a form of tokenism,” Gardezi said, adding that you aren’t really seeing shows that tackle race head-on—or at least not in the bold ways it was done in the past. Mindy Kaling at PaleyFest 2013’s panel for “The Mindy Project.” Photo by Dominick D via Flickr. Gardezi thinks that may be why Kaling’s show was accepted so easily on network television. As a result, South Asians “perform whiteness very easily,” according to Gardezi. Thinking of race as a social construct, South Asians and other immigrants often have fluid identities that move between black and white, but tend to lean towards white, due to their privileged socio-economic position. According to the 2000 Census, the average median income for Indian families was nearly $70,000 annually – more than any other group. In a “so-called” post-racial America, South Asians have found a sweet spot. For all the success of South Asian Americans in television, it can be shocking that there isn’t the same representation for Latino actors, writers, and showrunners in Hollywood. In the last census, Latino’s clocked in at 17 percent of the nation’s population—much higher in Los Angeles. Along with Fresh Off the Boat and Blackish, ABC premiered Cristela last year, created and staring Latina comedian Cristela Alonza as a law school graduate working an unpaid internship and living with family in Dallas. ABC did not renew Cristela for a second season. 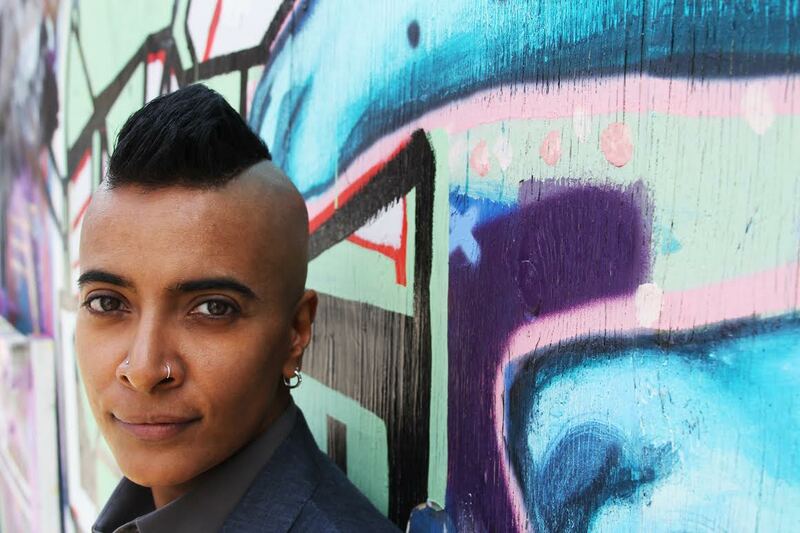 D’Lo, a Sri Lankan American trans comedian and actor with recent appearances in shows like HBO’s Looking, Transparent, and the Wachowski Siblings Netflix show Sense8, auditions for roles for cisgender males and butch lesbians. D’Lo says that the appearance of more brown faces is a testament to the fact that the stigma around being an artist has loosened in the community. “When I started my career as a performer in the late 1990s, I was very much one of one in the room,” he says, but it is a tough road, especially for those who hold progressive values. Actor Parvesh Cheena—who played Gupta on Outsourced—agrees with D’Lo that things are improving for Indian American actors. “It is now a viable option to be an artist for South Asian kids coming out of college,” he says, which wasn’t the case when he graduated from theater school in the early 2000s. As a working actor in television, Cheena admits that sometimes you have to take some jobs you don’t like in order to pay the bills. For Cheena, he no longer wants to do what he refers to as his “uncle’ accent”—which he used for Outsourced and for roles in the Barbershop films. 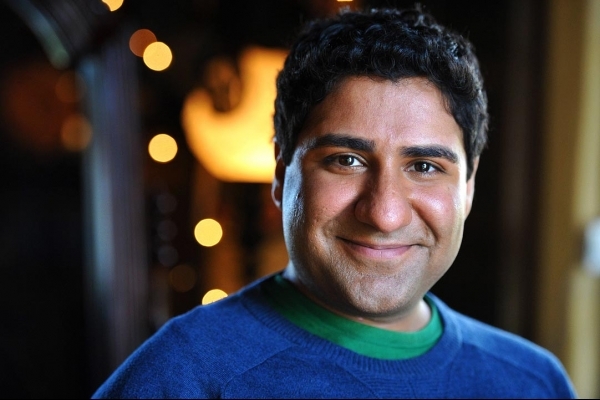 Parvesh Cheena played Gupta on Outsourced and says being the voice of Blades on Discovery Kids’ Transformers Rescue Bots is freeing. Photo by Bjoern Kommerell. Cheena says that he can afford to make this choice because of the job stability his voice work as Blades—a helicopter transformer on the animated Discovery Kids show Transformers Rescue Bots—gives him. South Asian Americans—whether playing monster, doctor, or computer engineer—are changing the face of television. Whether or not this will change the greater diversity on television or not remains to be seen. In the meantime, stay tuned for the first great South Asian American family sitcom, which will hopefully have roles for writers, directors, and actors of diverse backgrounds. Neelanjana Banerjee’s writing has been published in The Rumpus, Guernica, ColorLines, Hyphen magazine and more. She is Managing Editor of Kaya Press, an independent publishing house dedicated to Asian Pacific American literature. She lives in Los Angeles. This article is made possible by Comcast. Comcast Cinema Asian America in October: Filipino American History, Diwali and Thrillers!